After a few delays in my photography schedule, I’m excited to announce a new knitting pattern up for sale: Undercurrent Socks & Collar! 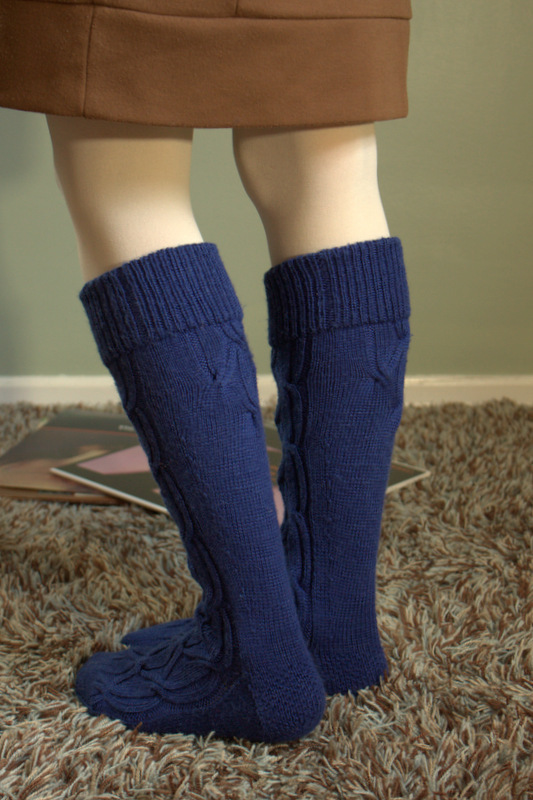 Here’s my blurb: These undulating knee socks were imagined and knit to the soundtrack of the 1963 Bill Evans and Jim Hall album Undercurrent, played on repeat. The cable pattern seemed a fitting match for the effortless and nuanced way their piano and guitar intertwine, and the knee-high length adds an appropriately retro vibe. The cuffs are worked in 1×1 rib, knit extra long and then doubled over for a truly heirloom quality finish that will stand the test of time. 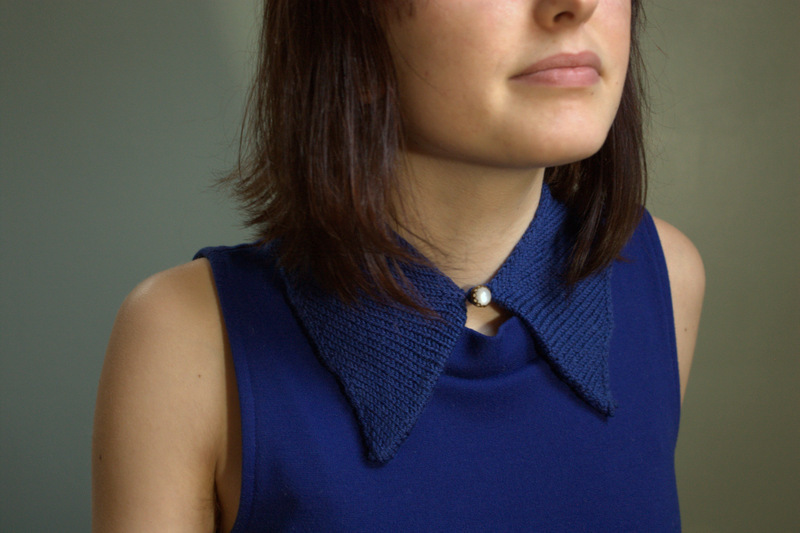 The pattern also includes a standalone collar, which is quickly worked up from your leftover yarn. The simple but polished finished appearance is due to knitting on the bias in the round (which means no edges to curl up), with a few short rows added to hug the neckline. Topped off with a single button, it’s a quirky way to add a bit of warmth and complete the vintage look. *I learned both the Norwegian purl and Shadow Wraps while developing this pattern and I highly recommend giving them a try, with or without my pattern in tow. 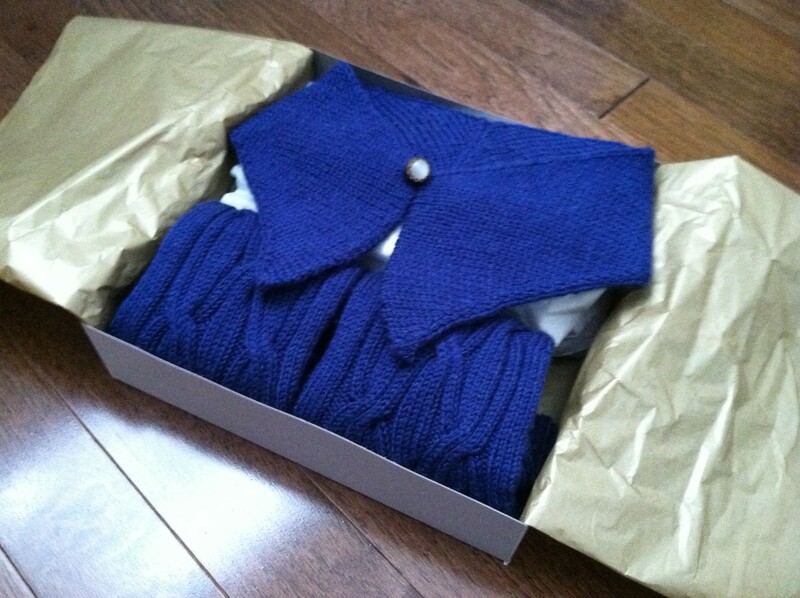 The pattern is available for sale on Ravelry now, or you can buy it now!